New for 2019, in place of formal presentations, the closing session on the afternoon of 13 November will comprise a ‘chat show style session’ in which a number of guests from the world of road safety will be interviewed. The session will be hosted by James Luckhurst, an experienced presenter with an excellent understanding of road safety. James is also TISPOL’s media relations’ consultant, and the man behind Project EDWARD. During the session James will interview four or five guests – already confirmed are Edmund King, president of the AA, and Lembit Opik, director of communications for the Motorcycle Action Group. See the profiles below for more detail. 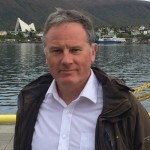 James Luckhurst is a road safety communications consultant and media adviser for TISPOL, the European Traffic Police Network, a position he has held since 2008. He conceived the idea of Project EDWARD while out running in the late summer of 2015. James’ career has been spent largely on the peripheries of the road safety world. He was a journalist and newsreader at the BBC World Service from 1990 to 2004, and worked on two series of the BBC1 show ‘So You Think You’re A Good Driver' in 2001 and 2002. These days he edits GoodMotoring magazine for GEM Motoring Assist and is involved in the production of road safety video material. Examples include ‘Blue Light Aware’, ‘Still Safe to Drive’ and ‘Medicines, Driving and the Law’, all funded by GEM. Edmund King has been president of the Automobile Association since 2008 and is also a visiting professor of transport at Newcastle University. He is also a trustee and director of the AA Charitable Trust for Road Safety and the Environment. The Trust won a Prince Michael International Road Safety Award in 2018 for 10 years of innovative road safety campaigns. Edmund has a politics degree from Newcastle University and a postgraduate diploma in broadcasting. He has worked as a committee secretary for the Social Science Research Council, for a Government department in Whitehall, in public relations for a wine company in Burgundy, in the motor industry in California, as a broadcaster in Los Angeles, as campaigns coordinator for the British Road Federation, and for various motoring groups and think tanks. He has written several reports on transport and often appears as a transport commentator on radio and television. He was awarded an OBE for ‘services to road safety’ in the 2016 Queen’s New Year Honours. He was runner-up in the Wolfson Economics Prize 2017, alongside his wife Deirdre, for their thesis on ‘Road Miles’. Lembit Öpik is Director of Communications & Public Affairs for the Motorcycle Action Group (MAG), the UK’s leading riders’ rights organisation. 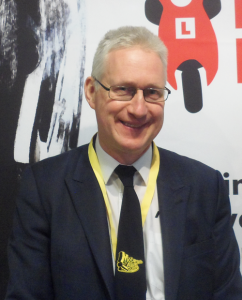 Born in Northern Ireland, Lembit has been riding motorbikes since 1980, and has campaigned on pro-biking matters since 1997. 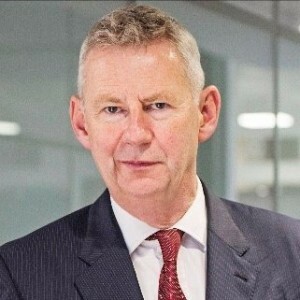 A dedicated libertarian, Lembit fiercely defends citizens’ freedom, including the right to ride motorbikes and scooters. He sees safety as a collective responsibility between road planners and riders, and is concerned about the reach of the State when this extends into choices which should be left in the hands of the rider and not in the hands of overbearing State regulations. 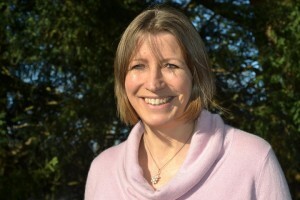 Sally Lines took up the post of chief executive of the Road Safety Trust in June 2018. The Road Safety Trust is registered charity which supports projects and research aimed at making the UK roads safer for all road users. Sally Lines has extensive and varied experience in the charity and social enterprise sector. She initiated and implemented a raft of strategic, operational and governance changes during her four-year term as chief executive of The Grange Centre for People with Disabilities (2013-17). Prior to that, as chief executive of Social Firms UK (2004-2011) Sally provided specialist development expertise to help grow the social firm sector and improve the quality and sustainability of the businesses. She was awarded an OBE in 2012 for her services to equality in the labour market, and is also totally committed to the importance of good governance. At the time of her appointment, Sally said she was “looking forward to working with stakeholders at all levels to maximise the impact of the Trust’s work, and to make a real difference to our society”.